Students who test into a Learning Support reading, writing, and/or math course may challenge the initial test placement. There is no charge for the Challenge Test. Check the English, Humanities, & Arts home page or call 615-353-3531 for more information on reading and writing Challenge Tests. For math information, call 615-353-3369. Free math preparation materials are available at www.act.org/compass and http://ww2.nscc.edu/lsm. 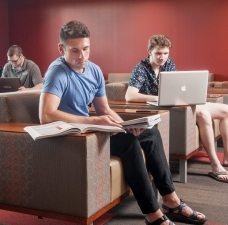 Students who speak English as a second language may receive special assistance in the Learning Center and from ESL specialists at the college. For further information, contact the ESL Testing and Advising Coordinator at 615-353-3380 or visit the ESL home page at http://www.nscc.edu/admissions/esl/. Student Disability Services provides assistance to students with documented physical, emotional, and/or learning disabilities. SDS personnel assist eligible students with academic planning and registration and serve as a liaison between students and faculty. SDS personnel also assist in testing and securing appropriate technology as needed for students. A minimum of two weeks is usually required to arrange classroom accommodations. For further information, contact the Disabilities Coordinator at 615-353-3721 in the Student Services Center or visit http://www.nscc.edu/student-resources/ disability-services/. The SGA office is located in the Student Services Building, S-103. The purpose of the Student Life Council is to promote cooperation and communication among student organizations. The Council consists of faculty/staff advisors and student representatives of each registered organization. The Bridge, NSCC’s college newspaper, is edited and published periodically by students during the year. Students who are interested in contributing to the paper should contact Valerie Belew at valerie.belew@nscc.edu for more information. A faculty advisor works with the students. For more information, contact Student Life at 615-353-3026, or visit www.nscc.edu/student-resources/student-life/. Nashville State is a member of the Tennessee Consortium for International Studies (TnCIS). Study Abroad takes students around the world for summer semester experiences. To participate in Study Abroad, students must be at least 18 years old, have completed 12 credits at Nashville State Community College, and be in good standing. For details about the programs, visit www.tncis.org. If you are interested in study abroad, visit the Dean for Student Services in the Student Services Building, Room S-202, or call 615-353-3261 for an appointment. There is a procedure to handle student grievances and appeals. Normally, grievances and appeals are appropriate when a student has experienced discrimination, violation of constitutional rights, or violation of policy. Information about the procedure is available in the college Student Handbook or from the Dean for Student Services at 615-353-3268 or 3261. 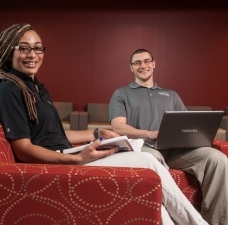 The Career Employment Center assists students and graduates with their employment needs. Businesses use the Center to locate qualified job applicants from the college. The Center assists with part-time and full-time employment opportunities. The Center staff is here to support you through exploring your career options, and preparing you for your job search. You are in control of your career search and we are here to guide you through the process. While the Center does not operate as an employment agency nor does it guarantee employment to those individuals utilizing the services provided, the Center provides continuous service in matching the job needs of graduates and employers. Detailed descriptions of available positions and statistics on graduate employment/salaries are available in the Center. It is extremely important that our graduates in the A.A.S. Degree and Technical Certificate programs are hired and employed in their chosen fields of study. All graduating seniors are encouraged to register with the Center at the beginning of their final semester. Résumés may be submitted electronically in Microsoft Word format to the Center at Ejobs@nscc.edu or in person by appointment. Center personnel will review and approve all résumés submitted. Career Employment Services are available to graduates within one year of graduation. Limited services may be available for alumni after that year to be determined by the Career Employment Center Director based on staffing availability, the economy and job availability. Experience is an interactive job vacancy bulletin that allows A.A.S. Degree and Technical Certificate graduates to complete their entire career search process on line including posting their resume, searching position listings and applying on-line for these positions. Contact the Career Employment Center for your login and password to this system. Co-op requirements and applications are available on line at our website, or may be picked up in the Center. The Career Employment Center will interview and screen co-op applicants. Only students who meet all eligibility requirements as well as those who exhibit sincerity, adequate skills and ability to fill a co-op position will be recommended by the Center to potential employers. All guidelines of the cooperative education program must be followed in order for students to be eligible to participate in the program. 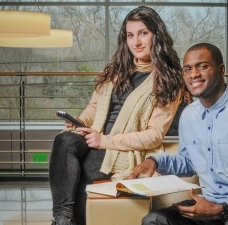 Nashville State’s Workforce and Community Development program offers high quality and innovative employee training, professional development, continuing education, industrial, computer, technical and soft skills training. Through collaboration and expertise, WCD designs programs that meet company and employee specific needs. WCD has been a recognized leader in the community for offering adult students continuing education to re-skill or advance the current workforce. WCD offers certificate programs for supervisors, new managers, sales professionals, and the retail industry. It also helps advance careers by offering the most up-to-date skills training available. Programs are offered online as well as in traditional instructor led training. WCD offers a variety of classes for personal enrichment. Programs are open to anyone in the community. They include captivating and educational classes such as CompTIA A+ & Network+ Certification Training, Floral Design, Leadership, MS Office 2010, NSCC Toastmaster’s Club, PMP Exam Review, QuickBooks, and Writing Courses.